I came across some photos of art work which dates back 11 years or more, from my days as an art student in Wrexham. 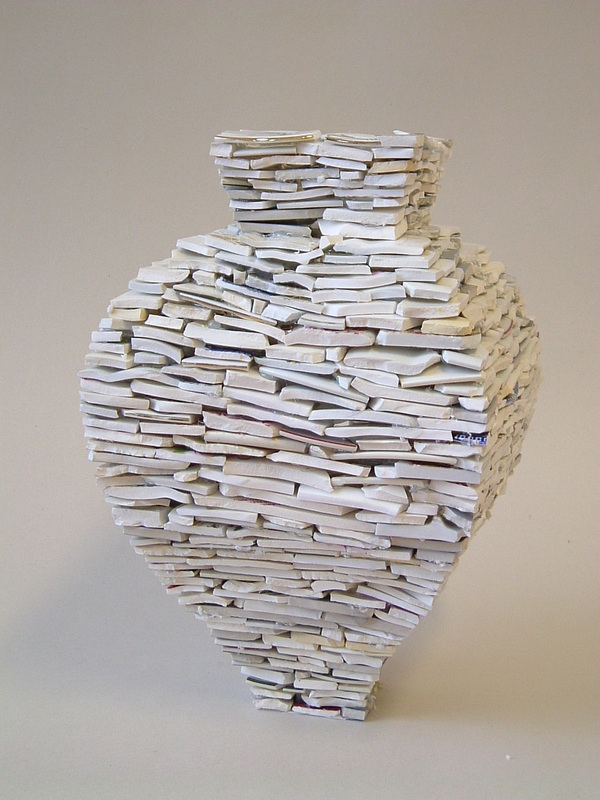 Ceramic Vessel was made from hundreds of pieces of broken table ware, glued against a jig I made, using hot melt glue. About 25cm tall. 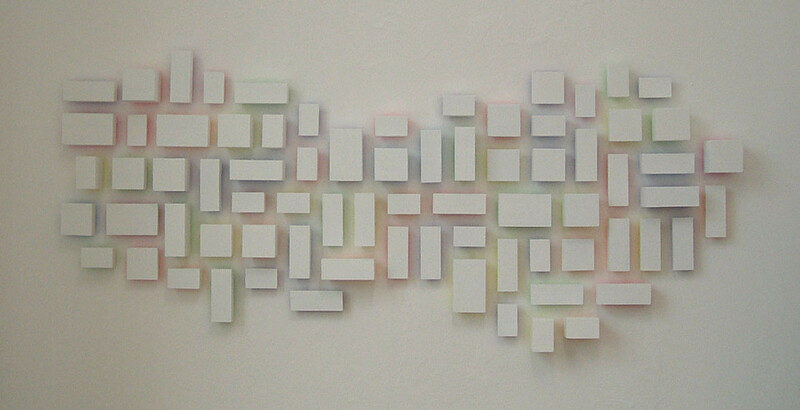 Reflected Colour relief, extruded foam, acrylic paint. 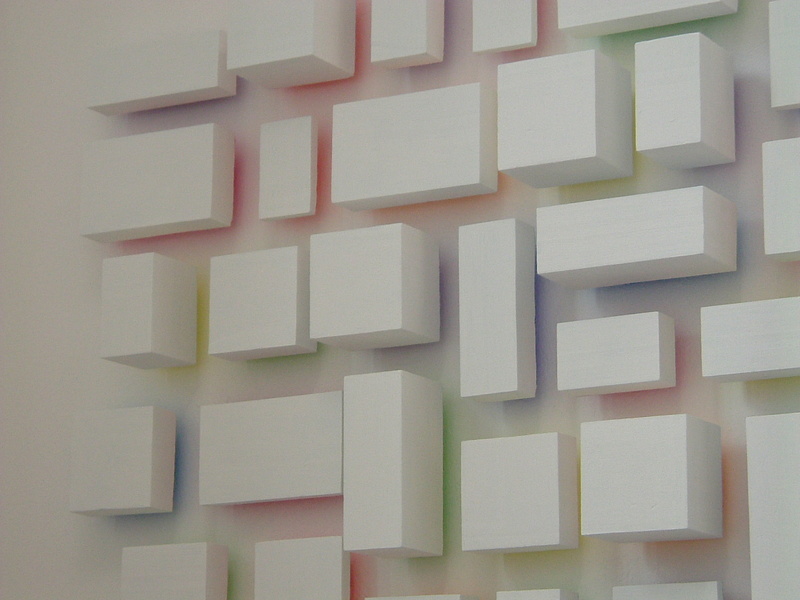 All the colour you can see is reflected from the back of the blocks, only white is facing the camera. About 150cm wide. The grey area is the back which is glued to the wall. 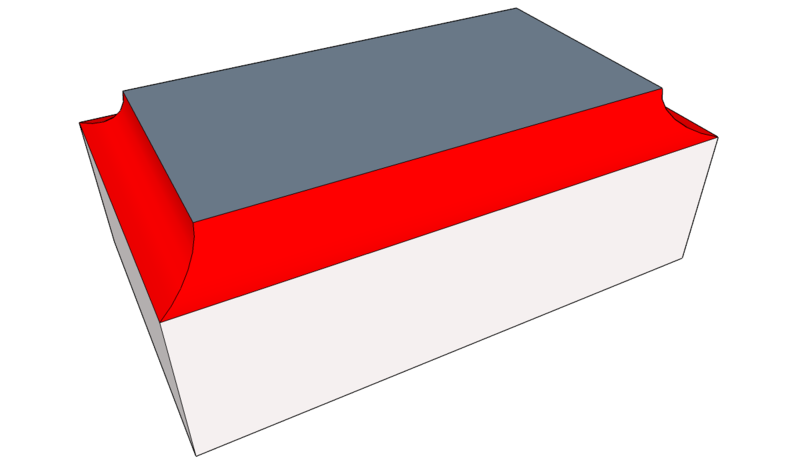 A composition of paper houses. Each house is 5x5x5cm. The houses are printed on 160gsm paper with the roof area printed in colour. Light filters through the paper, projecting colour inside the house. These were cut out using a scalpel and assembled with double sided tape. 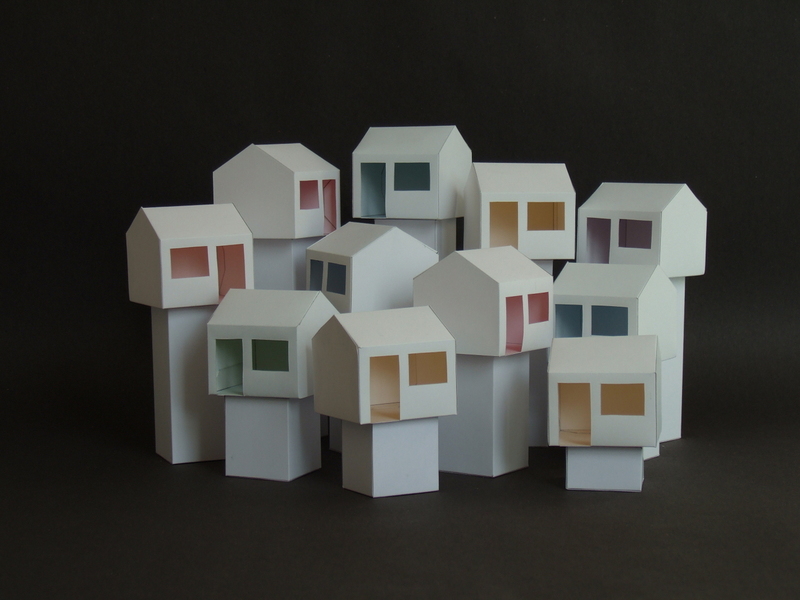 I used these paper houses in many different compositions and made several hundred over a couple of years. This composition was inspired by Georges Braque’s early Cubist work and late Paul Cézanne paintings. Cézanne’s late work seem to me to have inspired Braque & Picasso’s early Cubist works. I was unable to find any reference to support this idea.